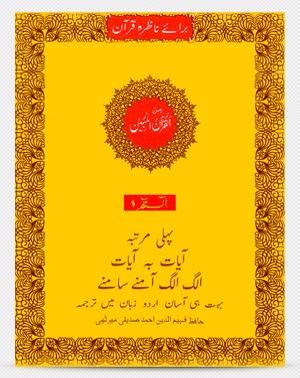 Al-Quran-Ul-Mobeen is one of the leading publishing group involved in printing and marketing Al-Quran and related publications in Pakistan and internationally. 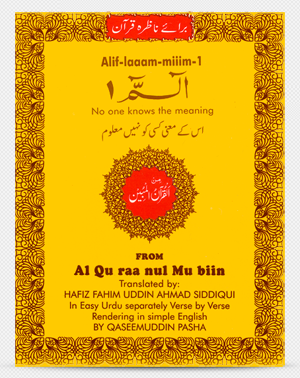 Al-Quran-Ul-Mobeen started as a single publication in 1984 when its founder Mr. Qaseemuddin took an initiative to publish his father’s Urdu translation of Holy Quran. This was an extensive work, right from designing the layout to getting it checked, proofread and authenticated by scholars and authorities before final printing. This was all achieved with great hard work of Al-Quran-Ul-Mobeen team working under Qaeemuddin leadership. 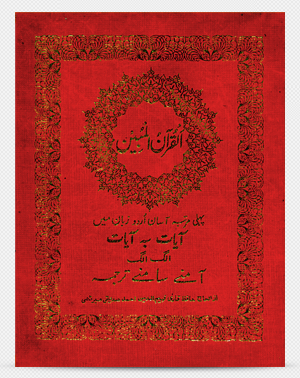 Since its launch Al-Quran-Ul-Mobeen has evolved and today become as one of the leading publisher involved in printing and marketing different Al-Quran related publications that are in great demand locally and internationally. This interactive CD-ROM will be an extension to this effort and will help people learn and understand Quran using their computers. This CD-ROM will be a great tool for Schools and Homes with little children to help them learn and understand Quran.